These sites are $10 a day and an additional $10 a night for up to 6 individuals. Each additional person is $2. There is no fee for children under 16 years of age. The paid overnight fee is good until 9 AM the following day. There is an annual pass for the Shoreline Camps available for purchase valued at $100 and is good for a year. These boat in sites can be accessed from a variety of boat launches on Lake Havasu. 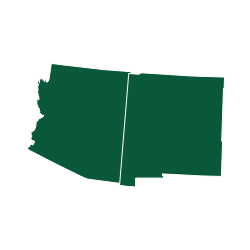 The sites are on the Arizona shore of Lake Havasu south of the London Bridge and continue until the boundary of the Bill Williams River National Wildlife Refuge. The "lake" that never sleeps? Lake Havasu is party city as far as lakes are concerned. Plenty of drinking and skin showing. It is large, however, so you can get away from it a little if you find a quiet cove. I've never seen this lake quiet but it's still an escape from the heat and also a good place for water activities as a group and not to mention, it's beautiful. Or, if you're social, boat up to a sandbar. The water always seems to be warm. You can camp right on the shoreline. Part of our group was on the shoreline by the little lighthouse while we stayed in the trailers.